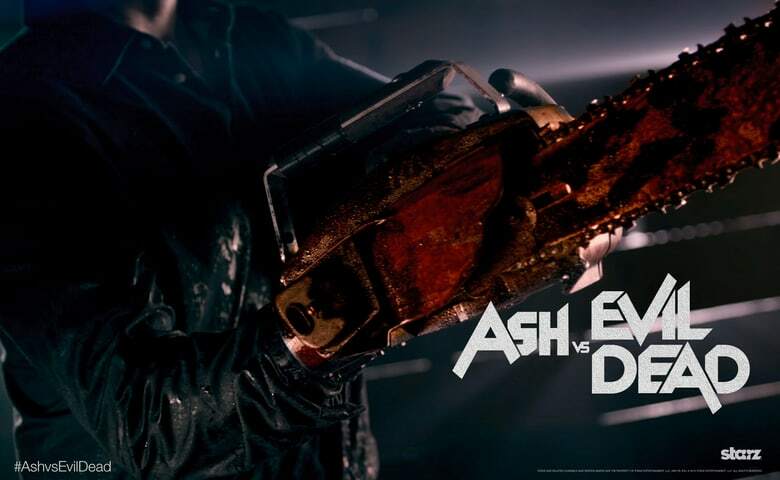 The new Starz series Ash Vs. Evil Dead is set to premiere on Halloween, but in anticipation of the series a new poster was released today. The image shows Ash and the two new characters standing around and on top of the iconic 1973 Oldsmobile Delta 88 that Sam Raimi always tries to incorporate in every film that he directs and this series is no exception. 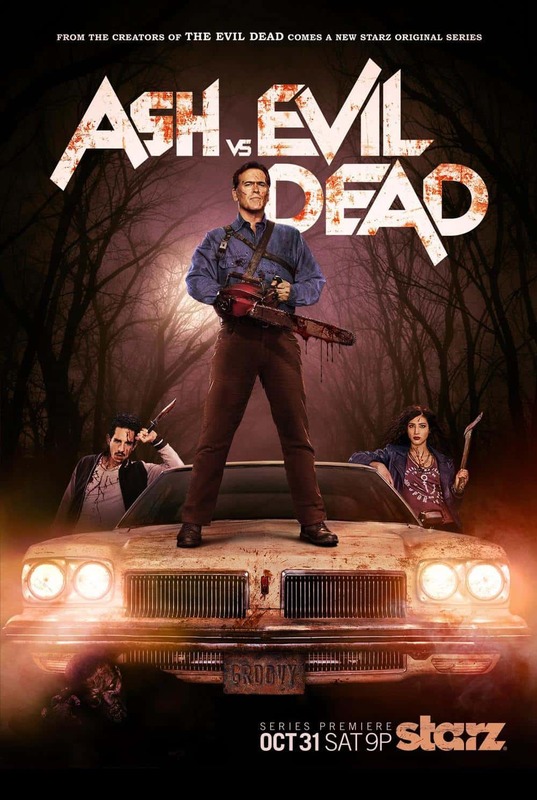 The series marks the return of Bruce Campbell in the role of Ash J. Willimas. This is the same role that started his career and as a fan of the series any new poster or trailer that is released is very exciting. There has already been a trailer released during SDCC that has gotten huge fan buzz, but this poster helps to solidify how highly anticipated the series is. Ash Vs. Evil Dead premieres on October 31st at 9pm.